JonV from Flipboard, the iPad news reader so named due to the way you flip through your news, announced that updates are coming to work with the new Facebook Timeline feature. The update to the Flipboard app will include the ability to easily share to your Facebook friends when you have added a new content group to your Flipboard favorites area. It is stated that you will still control who on Facebook sees the information through normal Facebook settings. The feature would mean that if you find a news feed of particular interest, you could share your great find out with folks of the same reading interest. Since Flipboard isn’t only about reading, this should include photo feed sites and services too. 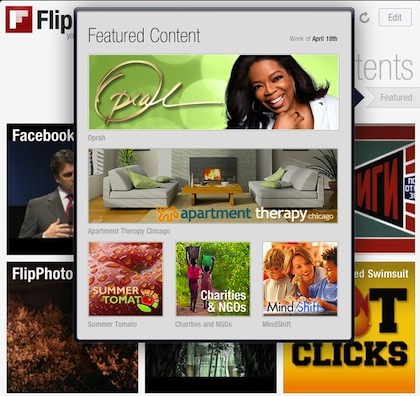 The Flipboard app is still one of our most used apps with it’s ease of use to get to just the information sites provide without all the extra clutter. The news release is from the ‘Inside Flipboard‘ feed.